Football is a tiring game regardless of the number of players on a pitch at the same time in a game. All things being equal, the two teams in a match will have 11 players each, making it impossible to find spaces to operate at times. But there’s still too much distance to cover and ground to cover on the pitch that modern players are often unable to play a significant number of games within a short period of time. Some, though, do have the immense energy and physical attributes to do that, and Chelsea have one of those in their ranks as per Marca. 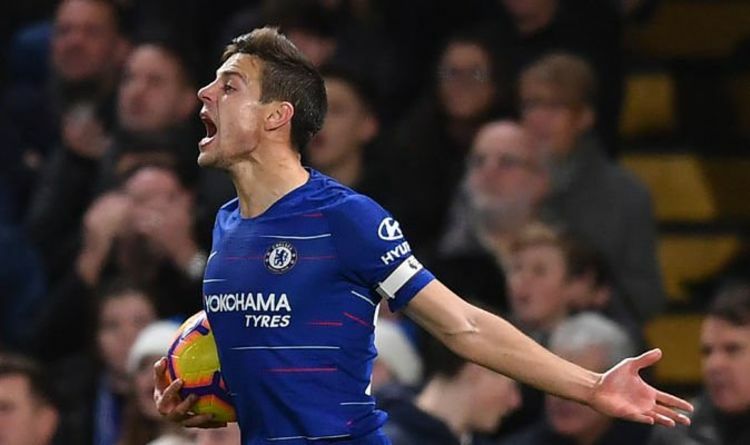 Cesar Azpilicueta is the most used player in all of Europe in the last five league campaigns according to statistics announced by CIES Football Observatory. The right full-back is one of the most trusted players in Maurizio Sarri’s squad. He has already played 34 games in all competitions this season, the most of any outfield player in the London based side. The 29-year old, per the stats from CIES, has also accumulated 16,099 minutes in the last five years ahead of ahead of AS Monaco’s Kamil Glik (15,754), Udinese’s Danilo (15,613, Valencia’s Dani Parejo (15,217) and Barcelona’s Leo Messi (15,197). He has earned the right to say ‘I’m tired’.